© Simona Bonanno. All rights reserved. 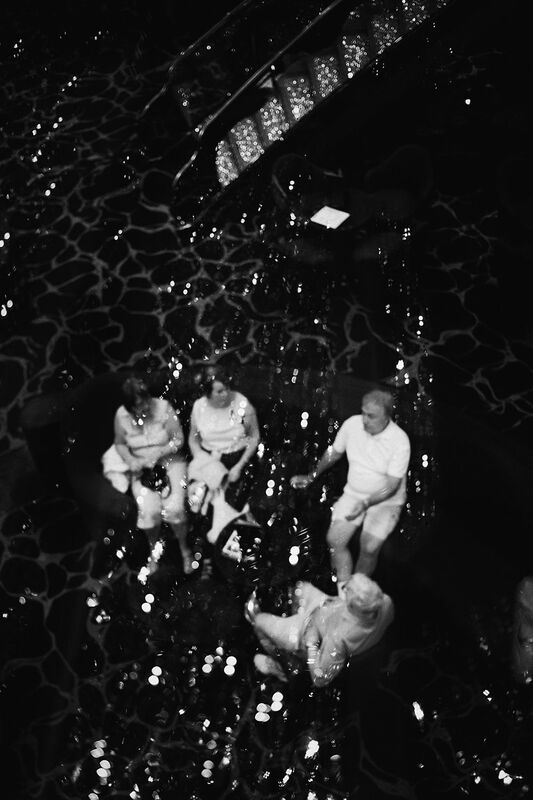 People sitting in the sofas of the reception deck of a cruise ship, seen through the stairs glass with the reflex of the sparkling swarosky. Seem like floating in the water.